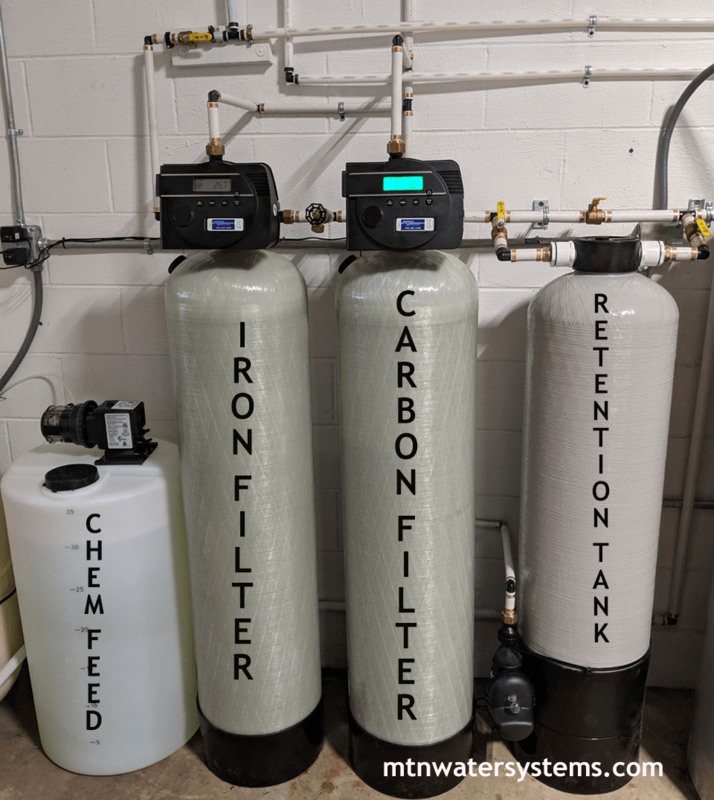 This business customer called us because they were starting up a small business in Chandler, NC and needed to make sure the water was clean with some filtration equipment. They were having discoloration from the iron and wanted to make sure that this included bacteria removal. We installed a light commercial system for iron removal and to chlorine injection to kill bacteria. Very happy with their investment!